My existing setup. 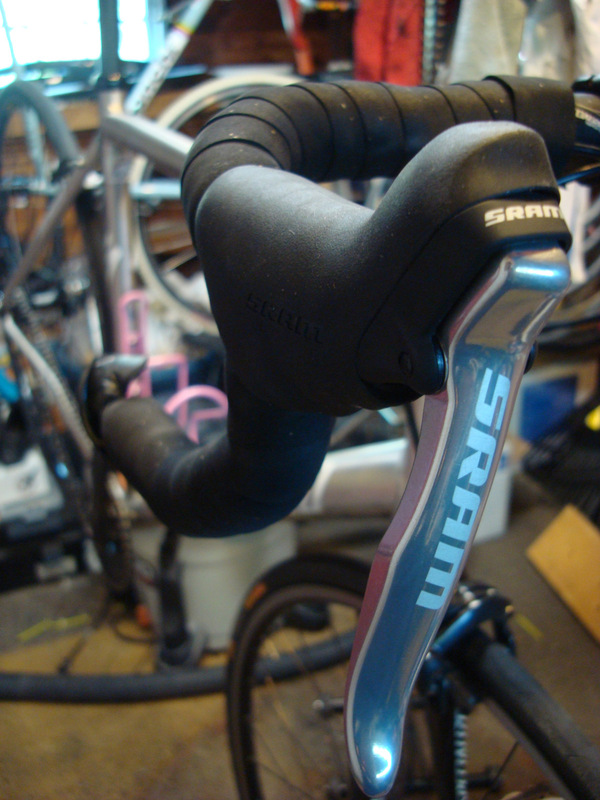 Basic Shimano levers, evocative of the 600 era, very light, but too narrow a handhold for my taste. And they’re pointy, which I don’t care for much. Still, I put many miles on them. They were serviceable; more so than the Tektro/Cane Creek varieties, which have a mold that is far too wide for my hands. 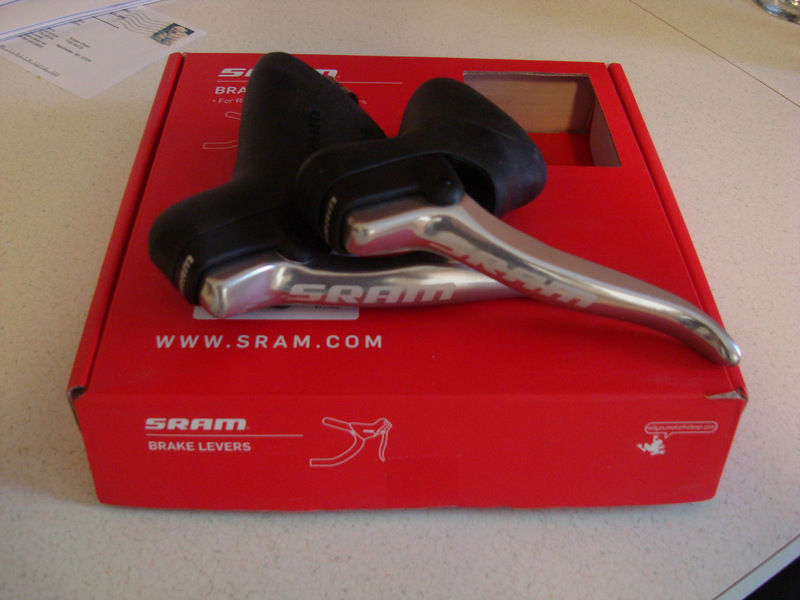 The SRAM singlespeed levers have a subtle outward cant and unique shaping, which make them that much easier to get a paw on – both in the drops and on the hoods. All fitted up. 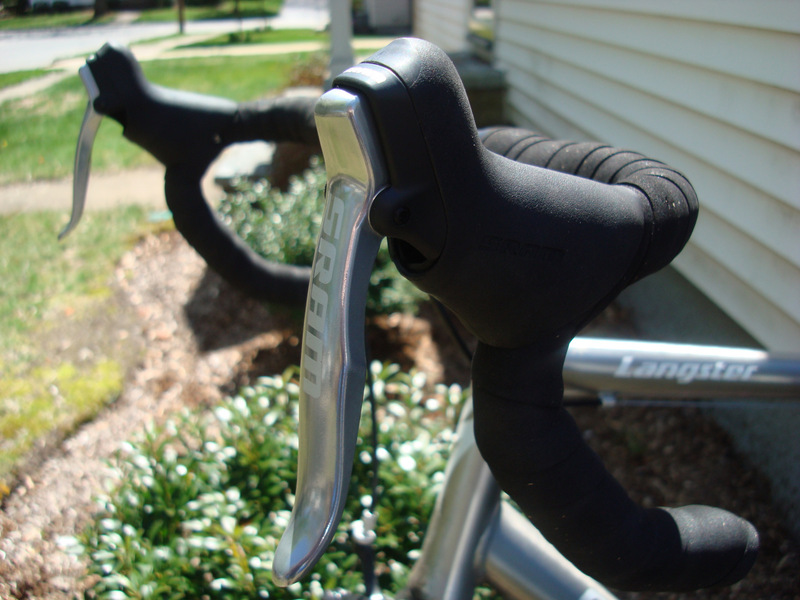 The finish of the 500 levers isn’t overtly shiny; a perfect match to the brushed simplicity of my ’07 Langster. 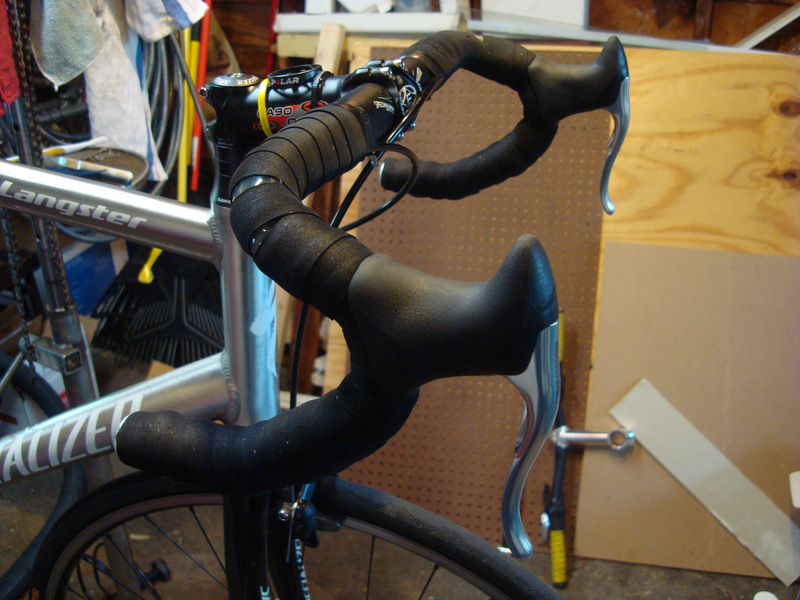 Much improved over the old levers. A more familiar sized hood, and a place to dock my palms during flat out TT efforts. 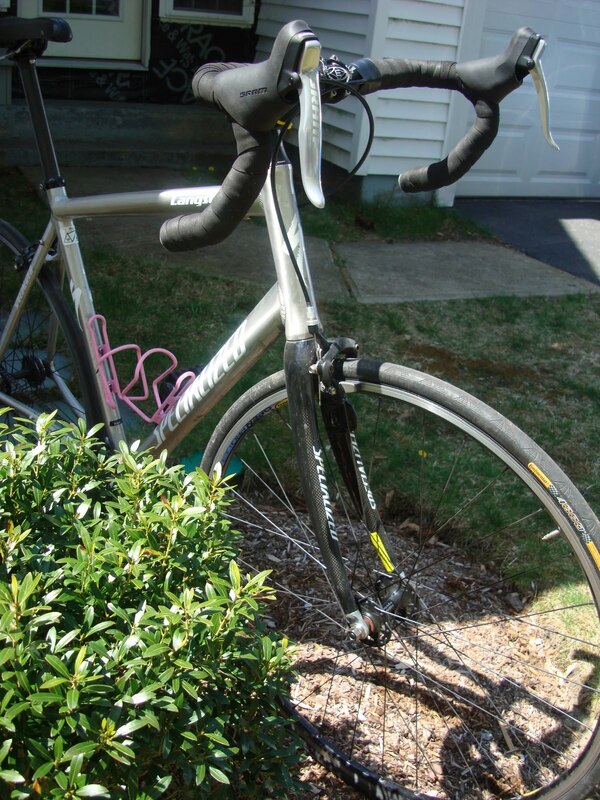 What, you don’t TT your singlespeed?